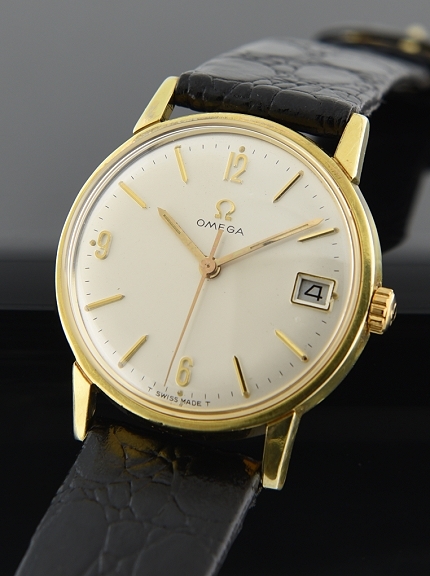 This 1967 OMEGA is a subtle mid-size 32.5mm. 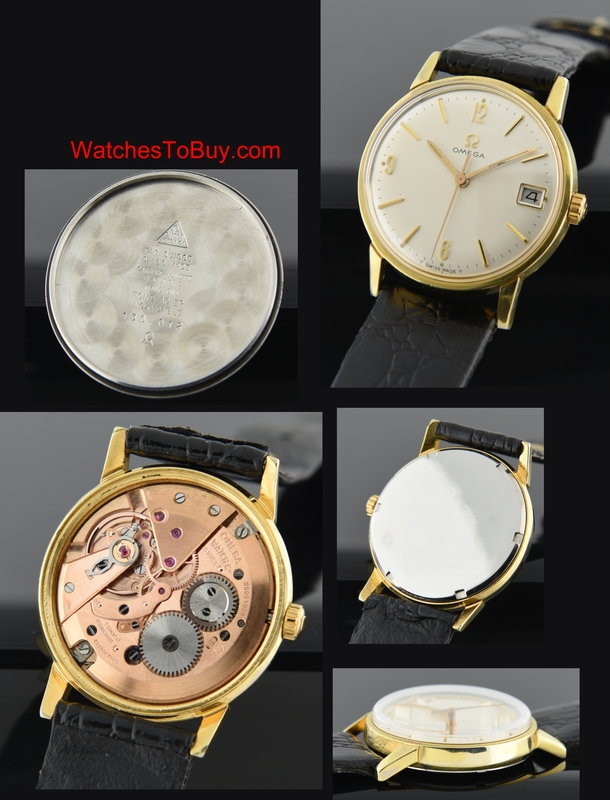 Patek Calatrava-like vintage watch. The OMEGA case is gold plated with steel back, Omega winding crown and signed crystal. The manual winding gilt OMEGA movement was just cleaned-accurate.If you are like me, you will love the Explorer style raised gold numeral and baton marker dial. The movement has the date (pull-out-crown) quickset feature.